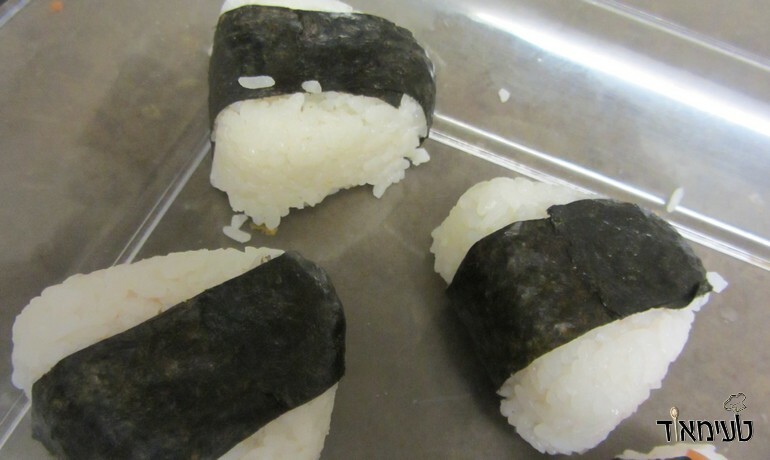 After meeting Nigiri - rice patties with an extra on the top - I'm honored to introduce your children to the opposite - Onigiri. 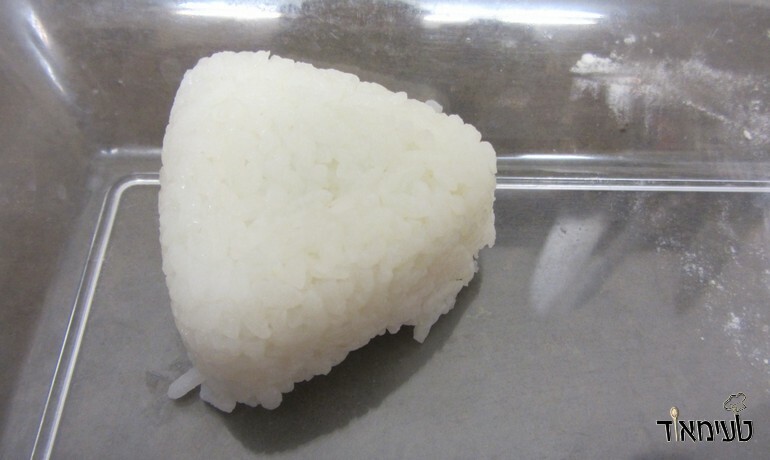 Onigiri is basically a rice patty - with the extras on the inside. 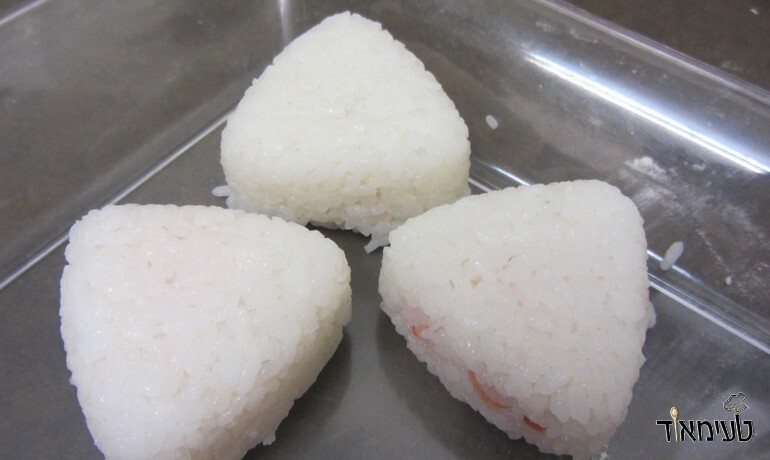 The onigiri is delicious and surprising (the extras on the inside are hidden!...) 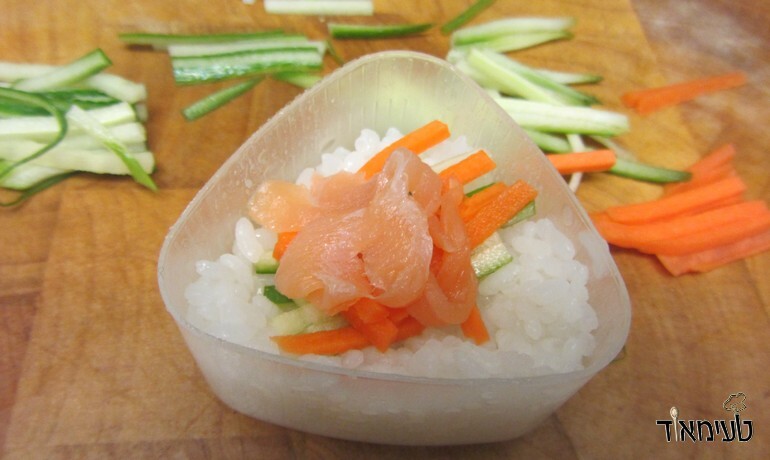 easy to prepare, looks great on your sushi platter and ofcourse, super delicious! You need special boxes to make the Origi which can be bought on ebay for a couple of bucks. It is also possible to make them without the boxes - however, its slightly less comfortable. Cut the topping into thin strips - and cut them to a length of less cm. Take the nori seaweed & with the help of scissors - cut into cm-thick strips. 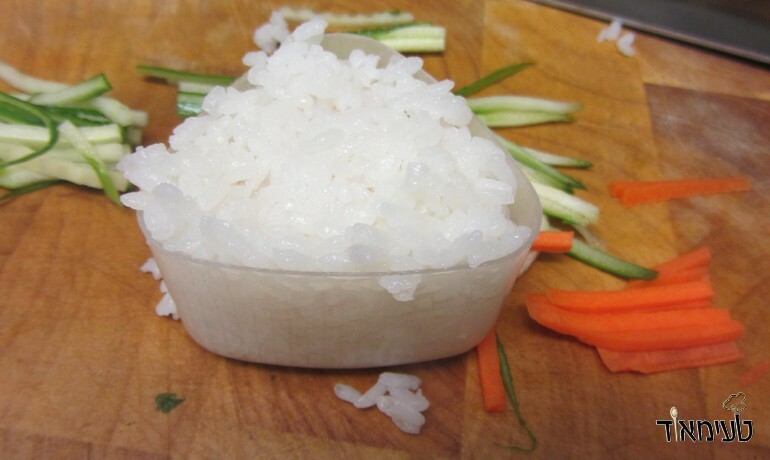 For those using the "boxes" - Place a layer of rice inside, then place the toppings, place another layer of rice and then with the lid - close, tighten and remove. 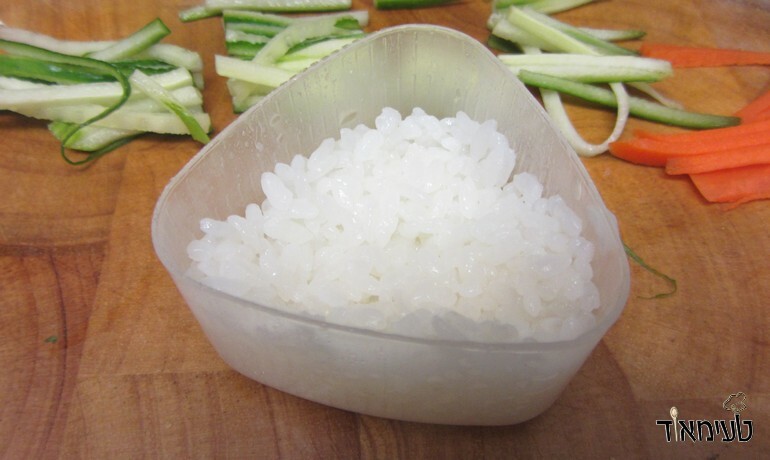 For those using hands (make sure they are wet) - place some rice in your hand and flatten it out and place the topping in the middle - then close nice and tight. 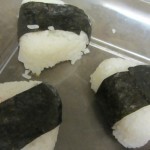 Place the onigiri on the rough side of of the seaweed, wet the seaweed along the side and then roll up to close! There you go....all that's left is to sit back and enjoy! You'r more than welcome to serve with wasabi and spicy mayo!